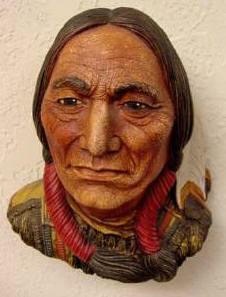 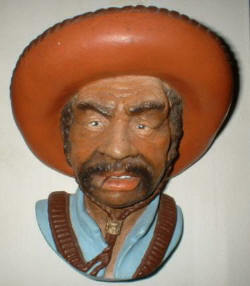 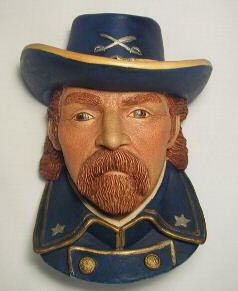 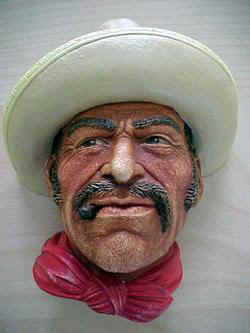 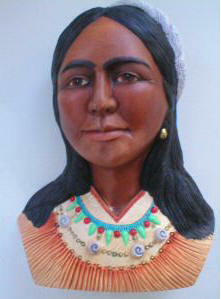 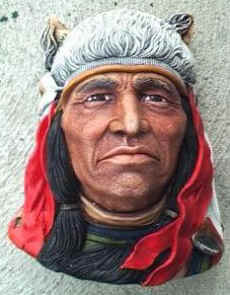 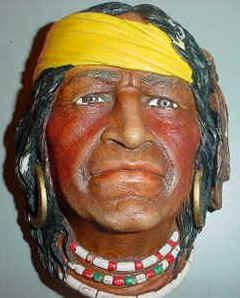 By Fred Wright 1984 Legend Products of England "Sitting Bull" chalkware head. 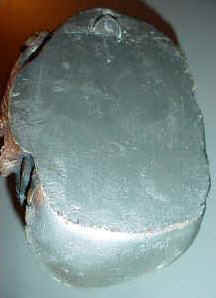 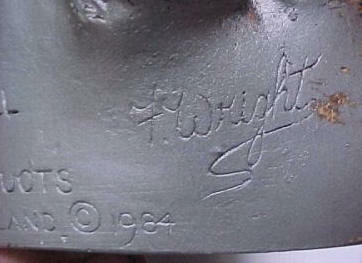 It was produced in 1984 by Fred Wright, the original sculptor for the company from 1954 thru 1986. 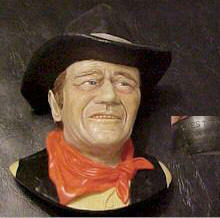 An accurate image of John Wayne. 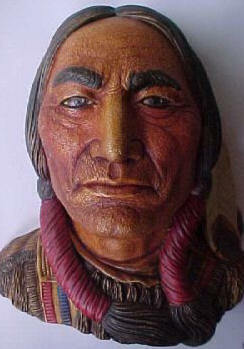 Copy write could not be obtained so the model was called 'Westerner'.